Fyodor Soloview, a graphic designer from Alaska, was researching his family's history when he realized that pyramid-like structure of a family descendancy could be used to create a new card game. 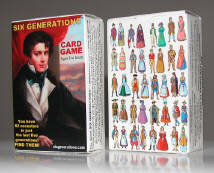 So, after a year of working on the idea, he came up with a solitaire-like card game called, "Six Generations." One to 12 players create a family tree of 64 characters spanning six generations. 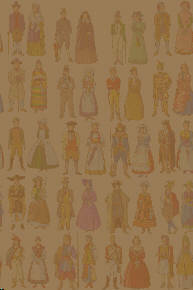 Each character is "born" into the game with his or her own story of genealogy, ancestors and matchmaking. Players will learn 72 most popular male and female first names, look at ethnic costumes of Europeans and Americans and memorize 20 European countries and regions. The full rules of the game are available on the website.